ST. LUCIA (November 15, 2017) – Anse Chastanet and Jade Mountain resorts in St. Lucia have earned another environmental accolade. Travelife Gold Certification status was conferred on two of the world’s best hotels in recognition of responsibly managing their socio-economic and environmental impacts. Travelife is an international certification system, promoting sustainability within the tourism industry. It helps tour operators, hotels and accommodations to manage and monitor their social and environmental impacts, as well as communicate their achievements to customers. It is an easy to use sustainability system which provides members with a practical framework to improve their business. 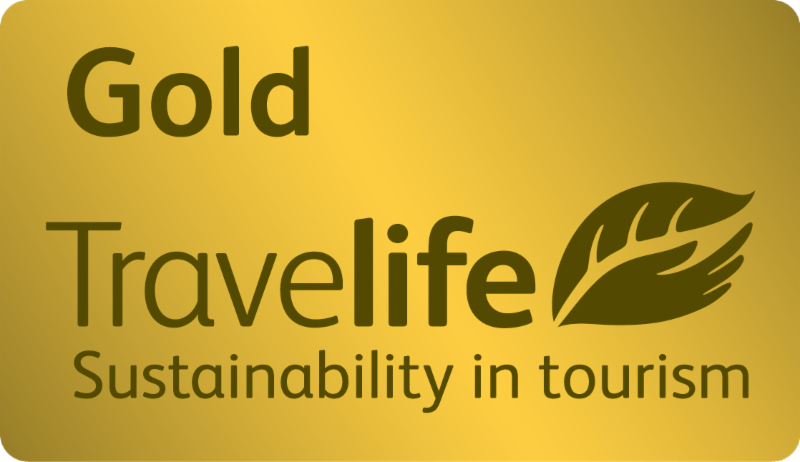 To gain Travelife Gold certification, the resorts were assessed against 150 sustainability criteria, including environmental issues, such as minimizing the amount of energy, waste and water. The social criteria recognize positive actions for employee welfare, working with the local community and businesses, child protection and human rights. Properties must also demonstrate they are protecting local traditions and wildlife. Both Anse Chastanet and Jade Mountain were created with environmental consciousness at heart and their efforts combine a strong commitment to the environment, sustainability, best practices and community support. Jade Mountain and Anse Chastanet consistently top lists of the best hotels in the Caribbean and worldwide, particularly for their environmentally conscious approach and their romantic offerings. Most recently, readers of influential travel magazine Travel + Leisure voted Jade Mountain among the world’s top 25 hotels and number two in the Caribbean, Bermuda and the Bahamas category. Anse Chastanet was not far behind, placing number six among Caribbean hotels. Last year, Jade Mountain also became the first hotel in the Caribbean to earn the prestigious LEED (Leadership in Energy and Environmental Design) Gold certification. “Respecting the people, nature and cultural aspects of St. Lucia and showing guests how it’s done at Anse Chastanet and Jade Mountain was central in achieving Travelife Gold Certification,” said the resorts’ Executive Director, Karolin Troubetzkoy. The resorts provide guests with information about the culture, history and ecology of the region. Local environmental protection efforts and social and cultural activities are also noted, inviting guests to provide feedback with opportunities to participate in charitable programs and raise funds for specific projects. Guests are also invited to partake in environmental activities such as reef cleaning, beach cleaning and tree planting. Most recently, together with the culinary team, a “conservation cuisine” initiative was launched to serve lionfish as a delicacy to offset the irreparable damage the invasive species has caused to coral reefs. “We want to thank Travelife for recognizing our efforts, and congratulate our staff – such accolades are impossible without their commitment to excellence,” Troubetzkoy added. For more information about Jade Mountain and Anse Chastanet, visit www.jademountain.com and www.ansechastanet.com.